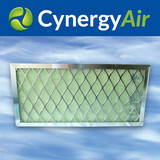 Manufacturer and distributor of Green Air Filters for home, office, hospital use. 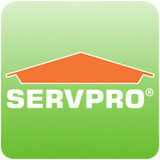 SERVPRO of Norman provides 24-hour emergency service and is dedicated to being faster to any size disaster. Our highly trained technicians can respond immediately to your residential or commercial emergency. Hepa Air Scrubber Rentals of Oklahoma City OK & Red Sky Rentals provide comprehensive equipment rental solutions for all of your immediate disaster, water damage and fire restoration needs nationwide. 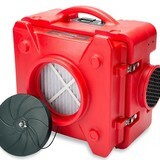 Our portable air scrubbers are ideal for homeowners and contractors dealing with the effects of fire, smoke or water damage. We can quickly provide the disaster cleanup and remediation equipment you need. Water Mold & Fire is who the people of Oklahoma City turn to when their home or business needs water damage restoration, mold removal, or fire damage restoration services. Our company is standing by 24 hours a day, 7 days a week, 365 days a year to make sure we are available when you need us most. These problems often happen when least expected, so it is important to have immediate response available to avoid even bigger problems down the road. So if you are currently experiencing these types of issues in or around Oklahoma City at your home or business, give us a call. We offer Residential, Commercial and Industrial Cleaning and Building Maintenance in Illinois, Iowa and Missouri. We specialize in Fire/Water Damage Restoration, Construction Clean Up and Mold Removal. We offer House/Home and Office/Business/Janitorial Floor, Wall, Window, Furniture and all Surface Cleaning, Sanitizing, Pressure/Power Washing, Exterior Cleaning, Concrete Sealing, Emergency Services and more. Our Floor Cleaning includes Carpet Cleaning, VCT Strip and Wax, Tile & Grout Cleaning and Hardwood Floor Refinishing. American Hometown Services has over 28 years of experience and is licensed and insured. From natural disasters to mold remediation, 1-800 WATER DAMAGE is proud to offer a wide range of restoration services in Oklahoma City. We’re a locally owned and operated business with years of experience. As a part of the BELFOR family, we also have access to the resources of the largest restoration company in the world. This means our customers benefit from personalized customer service along with state of the art methods and equipment for professional water damage repair that’s second to none. As a trusted leader in the restoration industry, SERVPRO of South Oklahoma City has highly trained technicians that are dedicated to responding faster to any size disaster. We provide 24-hour emergency service and have the training and expertise to handle your restoration and cleaning needs. OxyDry is one of the largest in Oklahoma and has been the most recommended Restoration & Remediation company in Oklahoma for over 20 years. They are highly experienced and equipped to handle any size disaster. From minor to major, from commercial to residential, they are the company to get it done right! Water Damage Restoration, mold testing and remediation is their specification. OxyDry is EPA Certified and an IICRC Certified Firm. Continuously through out the years, OxyDry has provided superior service and has been given the 2014 "Super Service Award" along with the coveted (A plus) rating with Oklahoma's Better Business Bureau. They are available 24 hours, 7 days a week for Emergency Water Removal and provide free estimates for Mold Remediation! Call now for immediate response to prevent further property damage! Environmental consultant specializing in site selection and development. You’d want to hire an Oklahoma environmental and restoration company to safely remove mold, or to rebuild after a fire or flood. Unlike normal renovation professionals, a restoration company will often start by securing your home and possibly removing dangerous contents before beginning any repair work. Most environmental damage is caused by water, fire or wind, so you’ll want to choose an Oklahoma restoration professional with experience in one or all of these areas. What about mold remediation? Mold remediation is the process of removing mold safely following industry protocols. Special training, equipment and licensing are required. Make sure you are working with Oklahoma certified, licensed and insured professionals who guarantee and warranty their restoration work. Older homes needing restoration may have lead paint on walls, doors, windows and windowsills. Lead that gets disturbed by sanding, cutting or replacing old windows can create hazardous lead dust. If your Oklahoma home was built before 1978, you’ll want to find restoration professionals with experience and training in lead-safe procedures. Find environmental services and restoration professionals on Houzz. Narrow your search in the Professionals section to Oklahoma City, OK residential environmental testing and home disaster restoration services to find a list of qualified professionals. Read through professional profiles for information on qualifications, experience and services provided.